Daoist monk Zhou, Xuan-Yun, the author of YMAA DVDs Wudang Taijiquan and Wudang Kung Fu, will be performing at Boston's First Night with the prestigious Chu Ling Dance Academy. Chu Ling & her school have worked to preserve Chinese culture since 1998, specializing in traditional, folk, and classical dance. They have held successful dance recitals at MIT, John Hancock Hall, and at Boston's First Night. Master Zhou and Chu Ling met in Boston's Chinatown and she was impressed by his martial arts. She has choreographed this year's New Year's Eve program to include Wudang kung fu and taijiquan. YMAA Instructors Ben Warner and Nicholas Yang have released a new DVD containing the basic training of the popular YMAA Children's class in a follow-along workout. The Kung Fu for Kids DVD offers kids a chance to study at home and learn simple calisthenics, warm up exercises, punches, blocks, kicks, and relaxation taught in a real YMAA class. The DVD also has a detail section where the techniques are instructed and demonstrated slowly and in detail, making it easy to learn. This program is a great way to give kids a fun and exciting way to get some exercise in the Winter months, and to get a strong foundation in traditional kung fu, even if no YMAA school is nearby. The self-discipline and focus learned in the study of kung fu affects other activities in life, such as sports, homework, and teamwork. View the high-def video trailer here. YMAA Qigong Instructor Lisa O'Shea recently became approved by the National Certification Board for Therapeutic Massage & Bodywork (NCBTMB) as a continuing education Approved Provider (#451188-09). She is now offering CE hours for weekend seminars and classes! This is a welcomed event for students who are LMT's since they can count these CE hours for their national license recertification. Also, this approval is retroactive back to Oct. 2007 so if you have taken a seminar with Lisa in the past two years and would like to have credit, send her a self-addressed stamped envelope. For contact information and upcoming seminars, visit the Qigong Rochester website. The Fourth Confucius Institute International Conference will be held in Beijing, on December 11th-13th, 2009, and YMAA Portugal student, David Alves, has been invited to join the event to perform a Traditional Chinese Gong Fu demonstration. In a statement, David Alves wrote: "As an Asian Studies pupil at the University of Lisbon, and with the help of the Portuguese Confucius Institute where I am learning mandarin, this trip comes as an opportunity of a lifetime. Whilst the staff from the Institute has been fundamental in my obtaining this invitation, I also have to thank my Gong Fu instructors and the YMAA association. I have been studying Chinese Martial Arts for about two years under the excellent tutorage of Pedro Rodrigues and Vitor Casqueiro, and believe that it was the spirit and heart that they are always trying to pass on to their students, that was fundamental in my [sic] being chosen to go. I would also like to thank all my YMAA colleagues in YMAAP-Amadora, who have always supported me. All these people represent the best in Martial Morality, which is so important in Chinese Culture and it is a pleasure to be able to train with people like them." According to David, "I will be leaving on the 4th of December and will return on the 13th; although it is a short stay in China, I hope it will be a great experience, and that I will represent YMAA Portugal to the best of my ability." Patrick McCarthy, Hanshi 8th Dan, and editor of the International Ryukyu Karate-jutsu Research Society Journal, features The Art of Hojo Undo—Power Training for Traditional Karate by Michael Clarke in its latest edition. The book is featured on the cover, with a lengthy introduction on page 8 and more of the book on page 32. McCarthy says, "There's so much more than 'hojo undo' in this work. It's not simply another 'how to' book about karate, but rather a penetrating look at Okinawa's principal fighting art, the culture in which it unfolded and one integral aspect of its practice, referred to as hojo undo." Dr. Aihan Kuhn, YMAA author of Simple Chinese Medicine and Natural Healing with Qigong has launched a YouTube channel. Dr. Kuhn offers lectures on the subjects of Chinese Medicine and Western Medicine, Taoist Words of Wisdom, Tai Chi and Qi Gong, Self Healing, The Power of Internal Energy and more. Click to watch these free lectures and subscribe for more. Ramel Rones, guest speaker, on “Holistic Health Show” hosted by Dr. Carl Helvie, talks about arthritis and the benefits of applying Tai Chi and Qigong. Rones is a gold medalist in Tai Chi and has witnessed firsthand the profound long term benefits of Tai Chi and Qigong with cancer and arthritis patients. Click here to listen. Rones is a Scientific Consultant of Mind-Body Therapies at Dana Farber Cancer Institute, Harvard & Tufts Medical Schools, as well as author with David Silver of Sunrise Tai Chi—Simplified Tai Chi for Health & Longevity and companion DVD. The book received the Silver Medal Living Now Book Award in the Meditation/Relaxation category. His Sunset Tai Chi DVD is the No. 1 best seller for Tai Chi. In January, YMAA Boston will be holding seminars in the topics: Broadsword, Chin Na, Baguazhang, and Praying Mantis. Dr. Yang will be returning to YMAA Boston once again this coming February 2010 to teach in-depth weekend seminars on selected internal topics. Topics will be Taijiquan, Taiji Chin Na & Wrestling, Taiji Pushing Hands, Qigong Introductory Theory, and Qigong Muscle/Tendon Changing and Marrow/Brain Washing. Visit the YMAA seminars page for more information. Photos from last year are posted here. Study with like-minded serious practitioners of the YMAA Community and learn something new this Winter. On the 65th anniversary of the death of Chojun Miyagi, sensei, and founder of Goju ryu, Mike Clarke, sensei, held special training at his Shinseidokan dojo in Tasmania, Australia. Students were asked to reflect upon the life and times of a man who left the karate world a magnificent legacy—the challenge to find in our lives a sense of physical and mental balance. The weekend included junbi undo exercises, hojo undo, extensive kihon, and ended with kata practice. There was also a 12 km run at Launceston's Cataract Gorge. Clarke conducts this free training each April and October in memory of Chojun Miyagi. Mike Clarke, Kyoshi 7th dan, Okinawan Goju-ryu, has trained in karate since 1973. 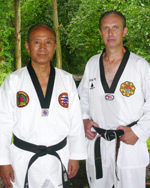 He has written articles for international martial arts magazines and has authored three books. His newest book is The Art of Hojo Undo—Power Training for Traditional Karate. Three YMAA Publication books were announced as finalists in the National Best Books 2009 Awards, sponsored by USA Book News. The finalists are: Quiet Teacher—A Xenon Pearl Martial Arts Thriller by Arthur Rosenfeld, June 2009, in the "Fiction & Literature: Mystery/Suspense" category, Simple Chinese Medicine—A Beginner's Guide to Natural Healing & Well-Being by Dr. Aihan Kuhn, May 2009, in the "Alternative Medicine" category, and The Little Black Book of Violence—What Every Young Man Needs to Know About Fighting by Lawrence A. Kane and Kris Wilder, April 2009, in the category of "Current Events: Political/Social" category. USA Book News is an online magazine and review Web site for mainstream and independence publishing houses. Over 500 winners and finalists were announced in over 140 categories for titles published in 2009 and late 2008. A complete list of finalists may be found at the USA Book News website. The new 2010 YMAA catalog is at the printer, and it will be included in all outgoing orders starting in couple weeks. The new catalog shows details for new books and DVDs to be released between Fall 2009 and Summer 2010. You may request a printed copy of the catalog. Or, you can look at the new YMAA catalog online, in flash or jpeg formats, or download a PDF version (3MB). "The opportunity to develop a better and more intensive practice: a worthwhile investment." For more than 15 years, YMAA France has organized a traditional one week Autumn seminar. This year, it is concentrated in 2 days with lower fees and focus mostly on teaching the depth of traditional martial arts. The Autumn training will be lead by Victor Marques, YMAA French headquarter director and student of Dr. Yang, Jwing-Ming since October 1990. Taijiquan martial applications and Chin Na will be taught, and a special topic session will be dedicated to Taiji ball and its health benefits. Attendees will also have the opportunity to learn the traditional sword sequence (San Cai Jian). The main seminar is open to all martial arts practitioners (from beginners to instructors) who want to develop their understanding of traditional Chinese internal, external and energetic martial arts. More information is available at the YMAA France website. 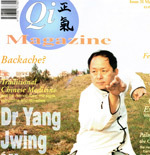 Michael Tse has made all 90 back issues of his excellent Qi Magazine available online for free. This is an excellent resource for those interested in Chinese qigong, traditional martial arts, culture, and philosophy, including interviews with many of the world's greatest living masters. A two-part interview with Dr. Yang, Jwing-Ming published in May 1997 is available for download (23 MB each) in Issue 31 and Issue 32. Visit the Qi Magazine website to see all the online issues or to order printed copies. Master Doug Cook, author of Taekwondo - A Path to Excellence will hold a book signing event on Wednesday, Oct. 21 at 7:30 p.m. at The Tuscan Café, 5 South Street, Warwick, N.Y. Events will include a brief interview with Master Cook followed by a book signing and celebration. 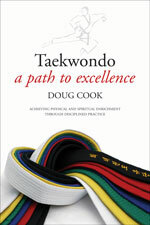 Doug Cook is the author of two best-selling books focusing on taekwondo entitled, Taekwondo—Ancient Wisdom for the Modern Warrior and Traditional Taekwondo—Core Techniques, History, and Philosphy, a finalist in ForeWord magazine's Book of the Year Award. He is head instructor at Chosun Taekwondo Academy, Warwick, N.Y. and may be reached at chosuntkd [at] yahoo [dot] com. Master Doug Cook, author of Taekwondo - A Path to Excellence, YMAA Oct. 2009, was recently interviewed by Master Erica Linthorst for Taekwondo Network.com. The video interview, An Uncompromising Man: Master Doug Cook, will inspire you to keep reading as you continue to practice, seek information from many sources, and search for the meaning that motivates you. YMAA Western Mass Tai Chi Program Expands! Following on demand generated by its introductory classes, YMAA Western Mass has recently added more classes and launched a formal, Tai Chi training curriculum in keeping with the YMAA training program established by Dr. Yang. The goal is to provide consistent training for all Tai Chi practitioners, in keeping with the highest standards practiced at all YMAA schools throughout the world. The school invites new or experienced practitioners of all styles to take part in the complete YMAA Tai Chi training system. Classes are conducted in a light-hearted, but purposeful manner. The school is also proud to announce the launch of its website (www.ymaawesternmass.com), in support of its effort to expand the course offerings. Please check out this developing web site for the latest announcements and details on the branch school's practices and policies. YMAA Paris is offering its third seminar in Morocco from October 24 to 31 on Essaouira's beach. Practitioners will train Chinese martial arts by the sea, in a place both charming and special. 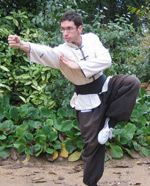 Victor Marques, YMAA France's director, will offer courses in Taijiquan Yang style and qigong. This relaxing week training by the sea, enjoying the many wonders of local Moroccan tourism, and the unique landscape and energy of this country will allow students to develop their feeling. For information, please visit www.ymaa-france.com - tel: +33 6 82 04 33 11 Sign up sheet (PDF) In French. 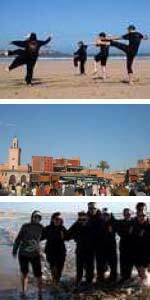 Pour permettre de pratiquer les arts martiaux chinois au bord de la mer et dans un lieu insolite et agréable, la YMAA France (section de Paris) organise son 3ème stage au Maroc du 24 au 31 octobre 2009 sur la plage d'Essaouira (Maroc). 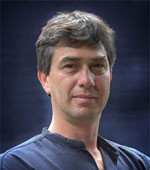 Victor Marques, directeur de la YMAA France, enseignera le Taijiquan style yang, le Qigong. Plusieurs heures d'entraînement face à la mer et de nombreuses découvertes touristiques locales. Une ambiance et un décor uniques pour continuer à développer ses sensations. Dr. Yang's first-ever California book signing and seminar event in Santa Cruz, CA was a huge success. Dr. Yang and the Retreat Center disciples visited Fremont, CA, where they were greeted by Ms. Gigi Oh and Mr. Gene Ching of Kung Fu Tai Chi Magazine. Lunch was followed by an interview with Dr. Yang and a photo shoot for the magazine, for publication in early 2010. Over 50 people packed the bookstore for the free signing and talk. Read more. Zhou, Xuan-Yun, author of the Wudang Taijiquan DVD and new Wudang Kung Fu DVD is offering classes in the Boston area. View his Boston class schedule on this page. Xuan Yun will demonstrate Wudang kung fu during a Chinese Cultural Festival at Seth Low School, 99 Avenue P Brooklyn, NY 11204, on Sunday Sept 27. You can call The United Chinese Association of Brooklyn at 718-232-0055 or Jing Xin Yuan: Cultivation School at 718-837-3742. Xuan Yun will offer a Wudang Taijiquan workshop at the N.E. Chinese martial arts expo in Windsor, CT, on October 3rd. Visit the CMAX website. United States Taekwondo Association (USTA) will present a special seminar with Grandmaster Richard Chun on Saturday, Oct. 24 from noon to 4 p.m. at the Won Kak Sa Buddhist Temple, 260 Clove Road, Salisbury Mills, N.Y. The $40 fee will include basic technique, self-defense skills, Ki exercises, kicking sparring drills, poomsae forms, practice taekwondo philosophy, and temple lunch. This event is open to all students regardless of school affiliation. For more information contact Master Doug Cook at or download registration form at www.chosuntkd.com. Lawrence Kane, author, Surviving Armed Assaults, was recently interviewed by Swiss journalist Sebastien Jost for the newspaper, Le Matin. Jost contacted the author after reading this book. He said in Switzerland, like in almost every country, a lot of assaults occur with a knife. The article in French speaks about how a blade is more dangerous than a gun in a lot of situations. Lawrence was recently featured on Police Magazine podcast. Dr. Yang, Jwing-Ming has recently updated the 'YMAA Retreat Center website' with reports regarding several key events in the past few months. You can see photos and read about the 2009 Summer Seminars, a visit from the primary sponsors of the 10-year training program, and a Disciple ceremony held for new students and YMAA South Africa School director Corlius Birkill. Congratulations to Corlius and the new disciples from all of us at YMAA! Read more at www.YMAA-RetreatCenter.org. Videos are now available of the YMAA Boston school demo on August 22nd, 2009, as part of Boston Green Fest. Part One includes Bagua Dao, kicking combos, group Lian Bu Quan and Taijiquan, Saber vs Spear, Nicholas Yang performing White Ape Sword, and more. Part Two has more kids' performances, Baguazhang, Taiji Sword, barehand vs Staff, and more. You can watch more videos on the YMAA Boston YouTube page, and see many others on the main YMAA YouTube channel. Lawrence Kane, YMAA author of "Surviving Armed Assaults," describes an effective technique for handcuffing an out-of-control suspect in the latest Police Magazine podcast. The martial arts instructor also gives you one surefire thing to say to a belligerent person to help you gain control of the situation without needing to get physical. Kane's book has been praised by Lt. Col. Dave Grossman as an effective tool to gain greater awareness, defend against various weapons and manage the aftermath of violence. Listen to the podcast the the Policemag.com. YMAA Qigong Instructor Lisa O'Shea will be interviewed on the web-radio program "The Secrets of Qigong Masters" on Monday night, 9pm EST, September 14th. You can listen to the show BlogTalkRadio live and call in with questions at (347) 327-9635. You do not need to be registered to listen or participate; just click the link. Previous interviews are archived with Dr. Yang, Jwing-Ming, Mantak Chia, and many more. Lisa offers weekly classes in Rochester, NY and seminars across the country. She will be teaching "Beginners Qi Healing" in Old Lyme, CT September 11 - 13 at Peaceful Wolf Tai Chi. For more information, call 877-346-4017. Victor Marques, a renowned French martial artist and direct assistant of Dr. Yang, Jwing-Ming for 20 years, has been nominated the succeeding President of YMAA France. Pascal Plee has stepped down from this position to pursue an independent route and direction in his martial arts career and life. Victor is now the official representative of YMAA France and will continue teaching traditional Chinese martial arts through the styles of YMAA. YMAA France has programs in Long Fist Shaolin Kung Fu, White Crane Shaolin Kung Fu, Yang-style Taijiquan, and Qigong for both health and martial arts. As the new president, Victor has already begun setting new goals and milestones for YMAA in France, and he will also be considering national events and activities to help push for continued and increased quality in the art. He intends to bring Dr. Yang back to Paris in 2010 for seminars and classes. Victor offers evening classes, weekend special classes, and week-long seminars in and out of France. Dr. Yang, Jwing-Ming will be in Santa Cruz, CA on the weekend of September 18th - 20th for a bookstore event and to teach seminars on Embryonic Breathing and Four Seasons Qigong. The free booksigning and talk on Embryonic Breathing will be at Gateways Bookstore on Friday, September 18th, 7-9pm. Gateways is located at 1126 Soquel Avenue, Santa Cruz, CA 95062, (831) 429-9600. The seminars will be from 9:30am - 5:30pm at the Santa Cruz Chi Center, 21511B East Cliff Drive, Santa Cruz, CA 95062, (831) 465-9088, moc.retnecihczurcatnas@ofni. The cost is $150 (1 day) or $250 (both days). Dr. Aihun Kuhn, author of Simple Chinese Medicine: A Beginner's Guide to Natural Healing & Well-Being May, 2009, YMAA Publication Center, will begin her Midwest book tour and seminars in September in Ohio and Illinois from Sept. 8 through Sept. 13. Her book tour includes stops at Cleveland Heights-University Library, Ohio on Sept. 8; Barnes & Noble, Stokie, Il. on Sept. 12,; and Borders-Lincoln Park, Chicago, Il. on Sept. 12. Two seminars on Qigong will be held on Sunday, Sept. 13 at The Tai Chi Center of Chicago—one free and the other $25 or $35 at door. Her book is for those new to traditional Chinese healing methods and discusses Eastern healing methods and Western treatment methods. 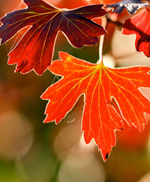 Dr. Kuhn has trained in China in both Western and Eastern medicine and has a lifetime of experience in natural healing. She is the director of Chinese Medicine for Health and The New England School of Tai Chi in Mass. She is also president of the Tai Chi & Qi Gong Healing Institute, which promotes natural energy healing. More information about the book tour may be found on the author's Web site. For registration information about the seminars contact sfierro1@comcast.net Subject line: Aihan Kuhn Qigong RSVP. Grandmaster Richard Chun, 9th Dan Black Belt in the Korean discipline of taekwondo, along with Master Doug Cook, 5th Dan Black Belt taught a two-hour seminar on Sunday, Aug. 2, at the Warwick Town Park in upstate New York. The grandmaster focused on basic technique, self-defense strategies, kicking drills, and the classic forms, or poomsae that gives taekwondo its unique character. The training session was attended by 70 students originating from schools from surrounding counties. Cook is the owner and head instructor of the Chosun Taekwondo Academy, Warwick, N.Y., a columnist for TaeKwonDo Times and author of three YMAA books, Traditional Taekwondo—Core Techniques, History, and Philosophy, Taekwondo—Ancient Wisdom for the Modern Warrior, and Taekwondo—A Path to Excellence,. 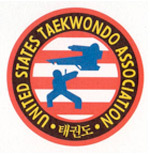 Richard Chun currently serves as president of the United States Taekwondo Association and is the author of five books including Tae Kwon Do—The Korean Martial Art and Advancing in Taekwondo. Recently, the Independent Book Publishers Association presented the 2009 Benjamin Franklin finalist award in the "Mystery/Suspense" category to Tengu: The Mountain Goblin, by John Donohue. This is the third book in the Connor Burke martial arts thriller series. Adventures abound when a splinter group of Asian terrorists with links to Al Qaeda set a trap for Burke and Sensei Yamashita. John Donohue, Ph.D. is vice president for Academic Affairs, and Professor of Social Science, Albertus Magnus College, New Haven, Conn. He is author of critically acclaimed martial arts thrillers, an associate editor for the Journal of Asian Martial Arts, and a member of the advisory board for the National Association of Professional Martial Artists. He holds black belt ranks in both karate and kendo. YMAA will be performing Kung Fu and Tai Chi at Boston GreenFest 2009 on August 22nd, 2009 Look for us in the morning stage performances. Classes at YMAA Boston will be cancelled for this day, Saturday, August 22nd. We will perform Tai Chi and Kung Fu, including Shaolin barehand, staff, sword, saber, and many more. This year's demo is being held to help promote a greener world. GreenFest educates the public about how to make the world a better place through recycling and proper waste disposal, better nutrition and health, encouraging a green economy, and taking a voice in promoting a greener, safer community. More Info, photos, and a video here. YMAA author Zhou, Xuan-Yun will perform Wudang Kung Fu and Taijiquan in the 2009 Mid-Autumn Festival on Sunday, August 16th. The performances begin at 10:00 am with a traditional lion dance. Xuan-Yun's performance will take place towards the very beginning of the performances, so we recommend coming early. Join the outdoor party at the Harrison/Beach Street stage in Chinatown to celebrate the end of the harvest season with music, food, storytellers and a dragon parade to celebrate the full moon, rain or shine. The August Moon Festival or Mid-Autumn Festival is one of the most celebrated Chinese holidays, celebrating the end of the harvest season with a big feast, including mooncakes, which are round pastries filled with red bean paste, fruit or jam. Harrison & Beach Street, Chinatown, Boston, MA. Take the Orange line to Chinatown, or the Green line to Boylston. For more information, visit http://www.chinatownmainstreet.org. An interview with Dr. Yang, Jwing-Ming is scheduled to be aired from 9:00 to 10:00 pm EST on Monday night, July 27, 2009. Tune in here on Lama Tantrapa's channel "Secrets of Qigong Masters". Dr. Yang took a break from his very busy Summer Seminar schedule to discuss his life and training in California, various Qigong concepts, and to talk about future plans. 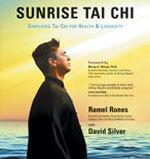 Recently, Sunrise Tai Chi: Simplified Tai Chi for Health & Longevity by Ramel Rones with David Silver received recognition as a Silver Medal Winner in the Meditation/Relaxation category for the "Living Now Book Awards" sponsored by Jenkins Group Inc. Sunrise Tai Chi was selected from 545 entries for this honor. This book introduces the history and underlying principles of Tai Chi from a modern and unique perspective for both the beginner and intermediate practitioner. The author, Rones, is a martial arts gold medalist, and works as a scientific consultant of mind/body therapies at the Dana Farber Cancer Institute and Harvard and Tufts Medical Schools. He is co-author of numerous scientific publications and author of the best-selling DVDs Sunrise Tai Chi and Sunset Tai Chi. 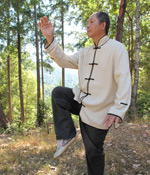 The co-writer, Silver, is an YMAA Qigong Instructor certified by Dr. Yang, Jwing Ming. 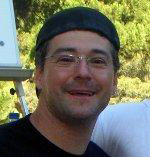 He is a writer, producer, and director of instructional martial arts and health books and DVDs. The YMAA Boston headquarters school hosted another Chin Na (Qin Na) seminar last weekend, on July 11th and 12th, from 9:00am to 5:00pm. Qin Na means "seize and control" and it is one of the four major elements of any Chinese martial arts training: kicking, punching, wrestling and Qin Na. The seminar was attended by many participants and led by seniors Qin Na instructors Nicholas Yang, Jim Noble, Paul Green, Aaron Damus, and David Grantham. After hours of exploring the six-level program techniques, participants sent comments such as "thank you to all of the instructors for making a painful lesson so much fun" and it was "a great experience! I look forward to attending future events." 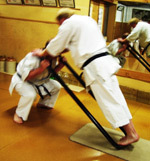 The next seminar, this weekend, will be about "Staff Techniques and Qi Mei Gun." Kris Wilder, noted author and martial artist donated his time and gave a seminar, "The Application of Power," at MCC: Blue River Community College, Independence, Mo. 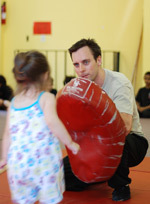 in conjunction with the Blue River Martial Arts Club under the direction of Eric Parsons, teacher at the college. The club donated the entrance fee money to the college's Single Parent Book Loan Program. Wilder is the co-author of The Little Black Book of Violence: What Every Young Man Needs to Know about Fighting. The club will be sponsoring another seminar in spring 2010 with Rory Miller author of Meditations on Violence.